The New York Knicks and the Chicago Bulls agreed on a trade that lands Derrick Rose in New York and sends Robin Lopez, Jerian Grant and Jose Calderon to Chicago. The deal was initially reported by the Chicago Tribune. Besides Rose, the Knicks will also get guard Justin Holiday and a 2017 second round pick. After the signing of Jeff Hornacek as head-coach, the management focus was to strengthen the point guard position where New York suffered most the past decade. Rose was named MVP of the 2010-11 season after he helped Chicago win 62 games, the most number of victories since the Michael Jordan era. However, his flamboyant style of play came with a cost. The following post season he injured his knee in the first round against the Philadelphia Sixers causing the #1 seed Bulls to lose the series 4-2. He suffered two major knee surgeries since and has played in just half of the Bulls games in the past 4 seasons. 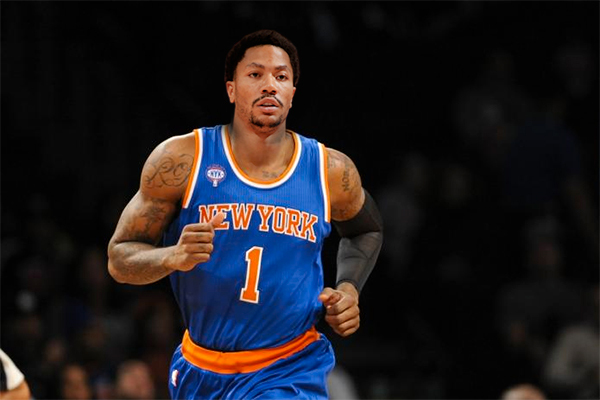 Rose, 27, who is trying to revamp is career with the Knicks averaged 16.4 points and 4.7 assists in 2015-16. The Knicks have also decided to drop guard Tony Wroten, as Frank Isola reported. The Knicks also waived Tony Wroten so everyone can now stop with this nonsense that the Knicks found the next Russell Westbrook.